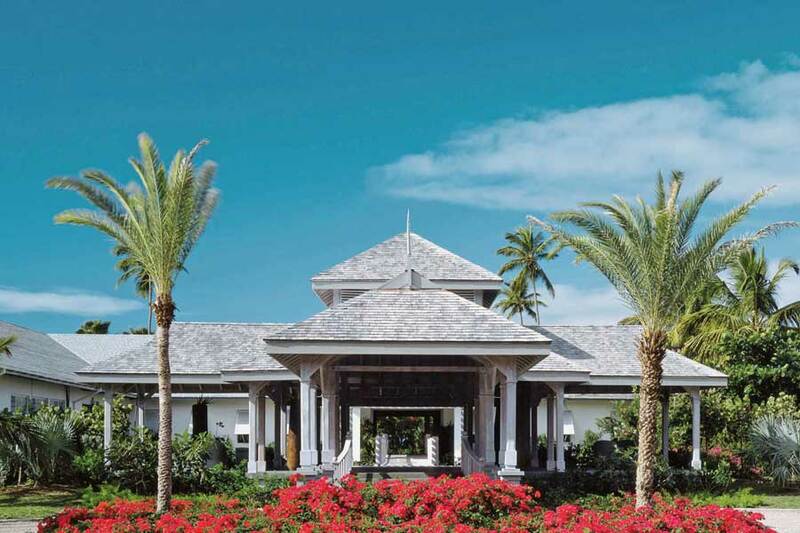 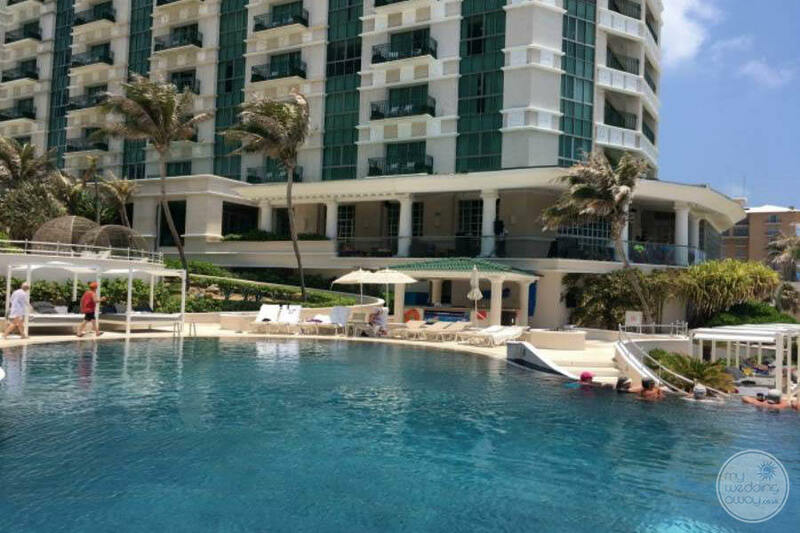 Ideal for: Couples looking for a resort with a boutique feel but with all the amenities of a large complex. 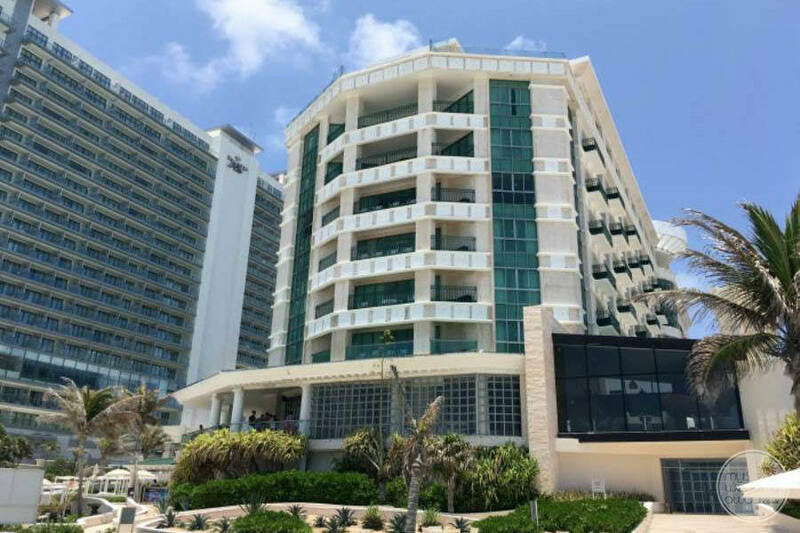 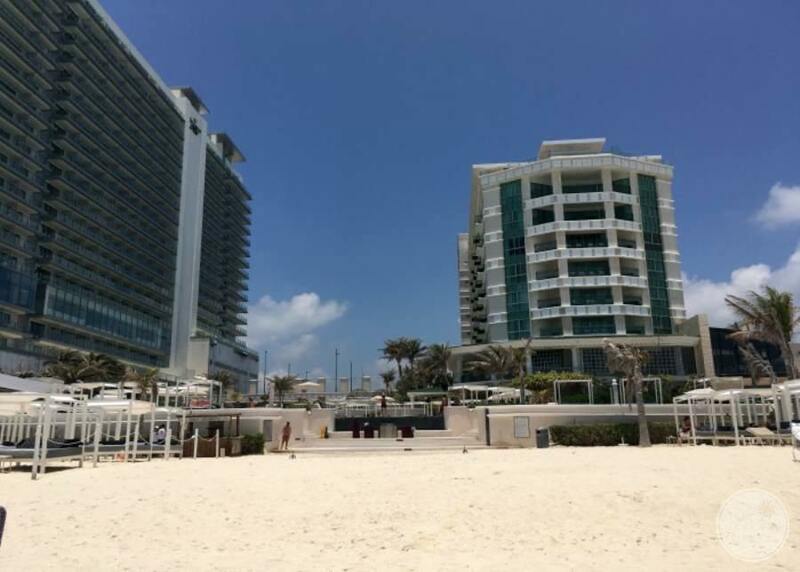 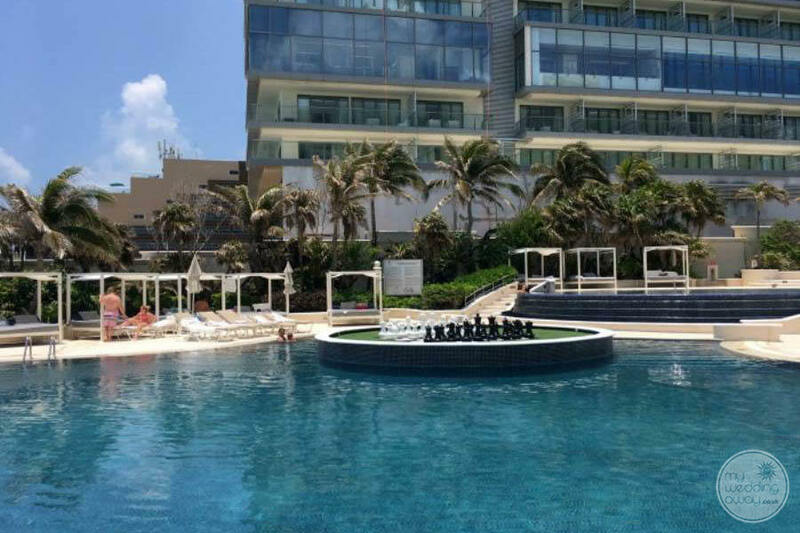 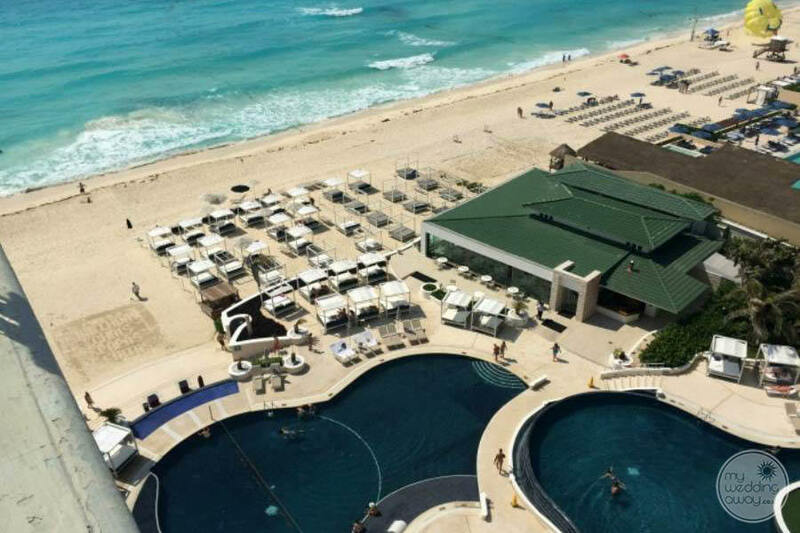 Sandos Cancun Lifestyle Resort resembles luxury condominium lifestyle complete with all amenities included. 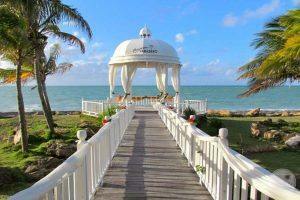 The location of this upscale resort is between the Caribbean Sea and the Nichupte Lagoon. 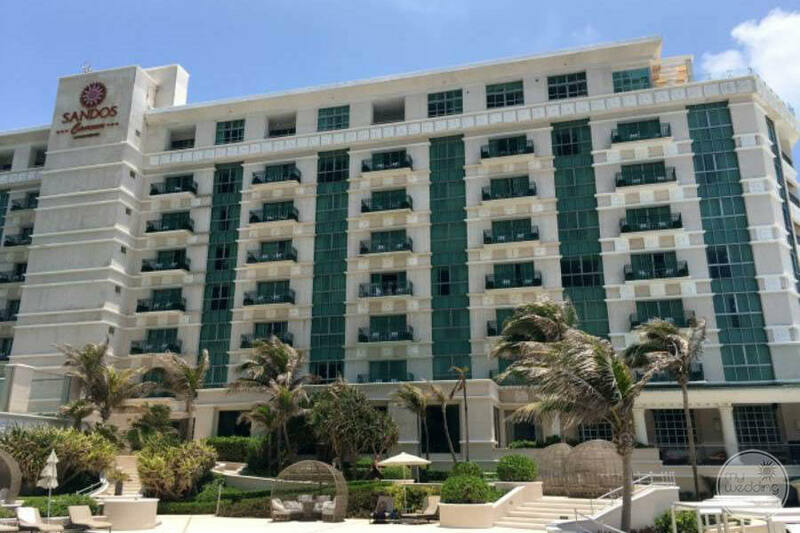 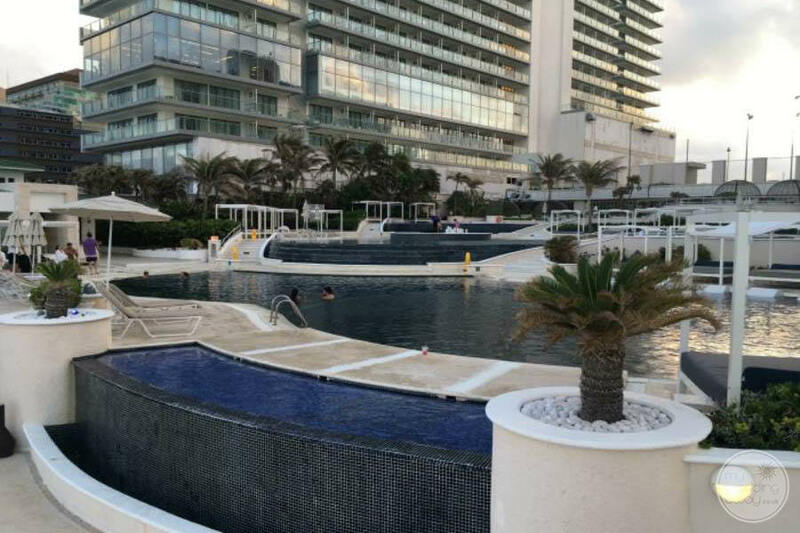 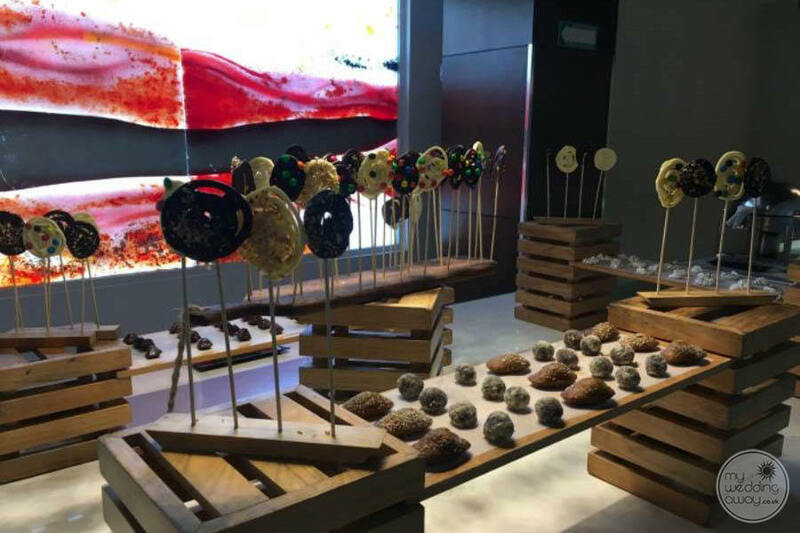 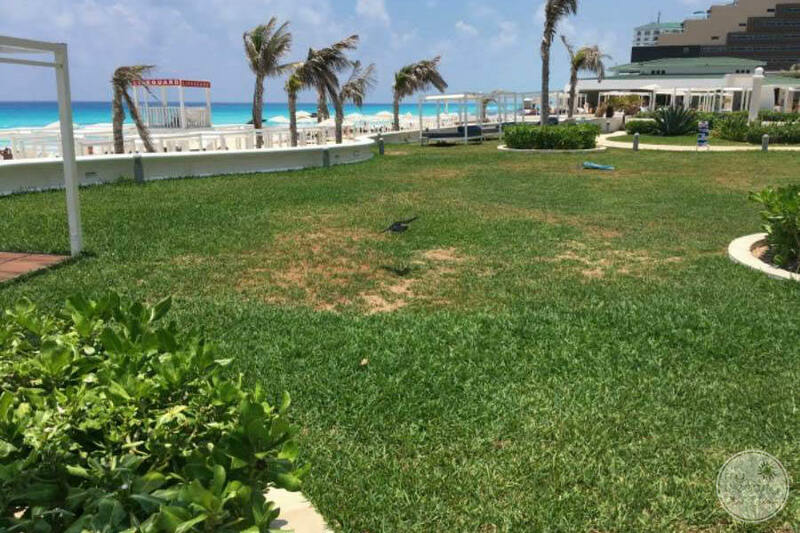 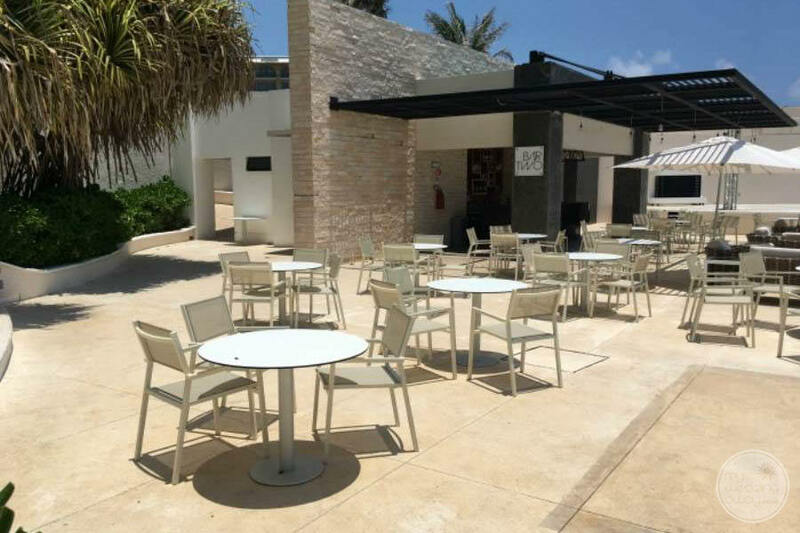 It is centrally located in the Cancun Hotel Zone and only 5 minutes away from nightlife, shopping, golfing and excursions. 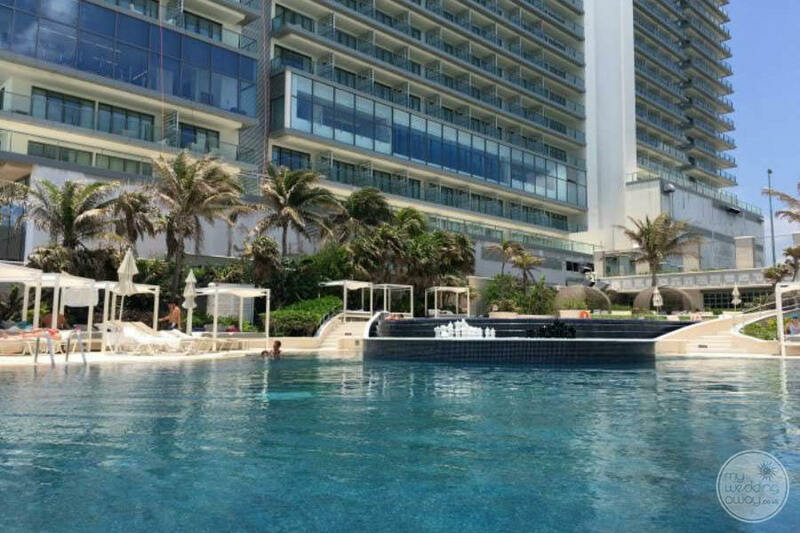 The resort is a perfect size! 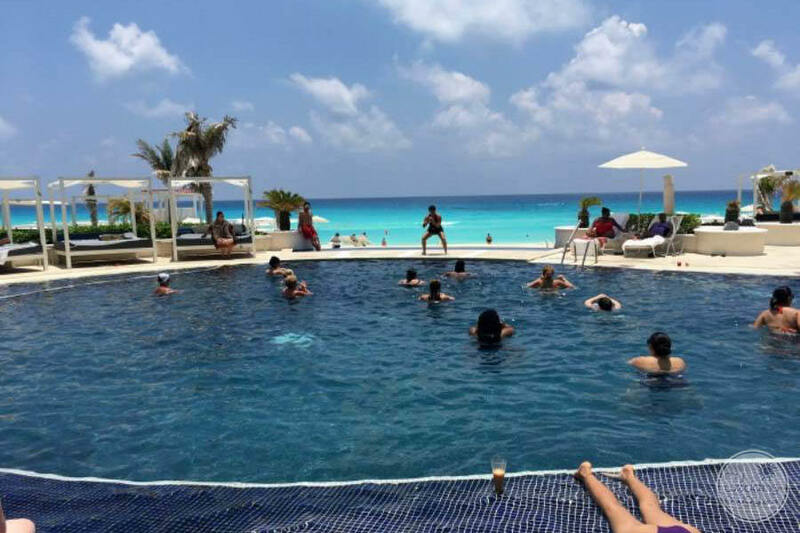 With this in mind, it takes no effort to get where you want to be, beach or poolside, to the gym or any of the restaurants. 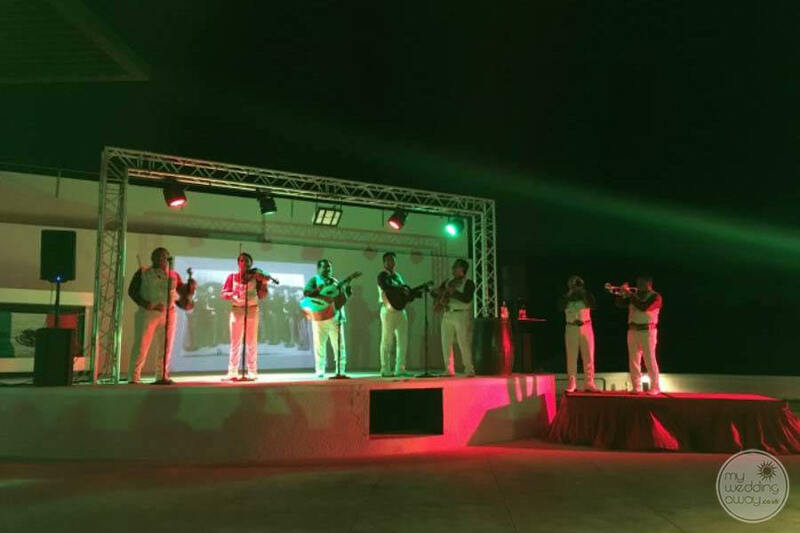 Also, management likes to keep the entertainment rolling, holding different themed parties thru out the day and night. 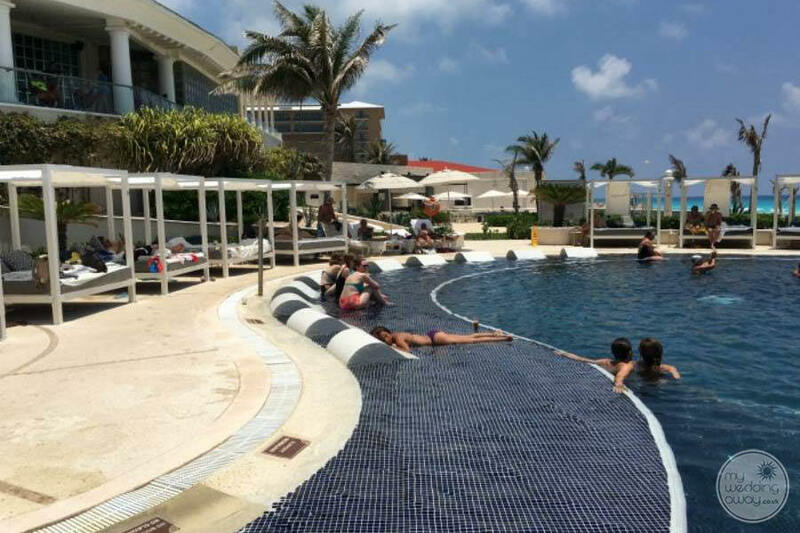 The staff here operate at a very high standard, great feedback that we always hear about this resort. 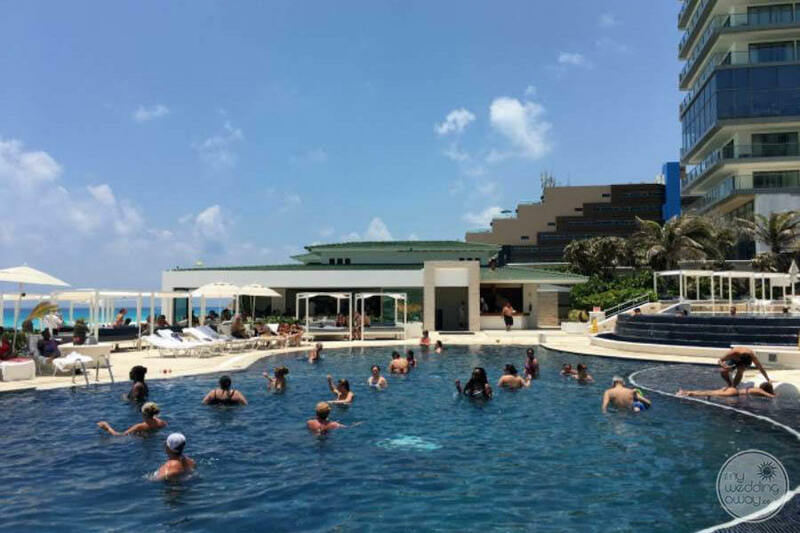 For example, I experienced a pool foam party, an authentic Reggae band playing poolside and a Mexican Fiesta dinner complete with an authentic Mariachi band! 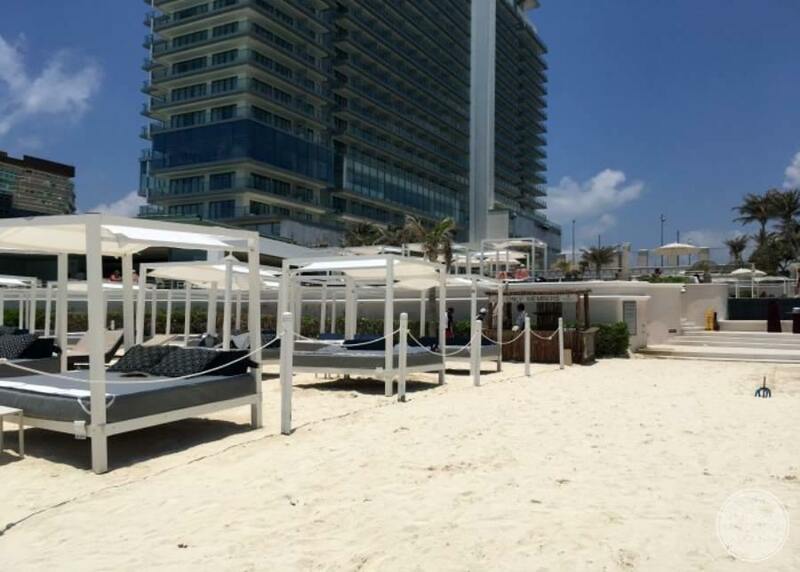 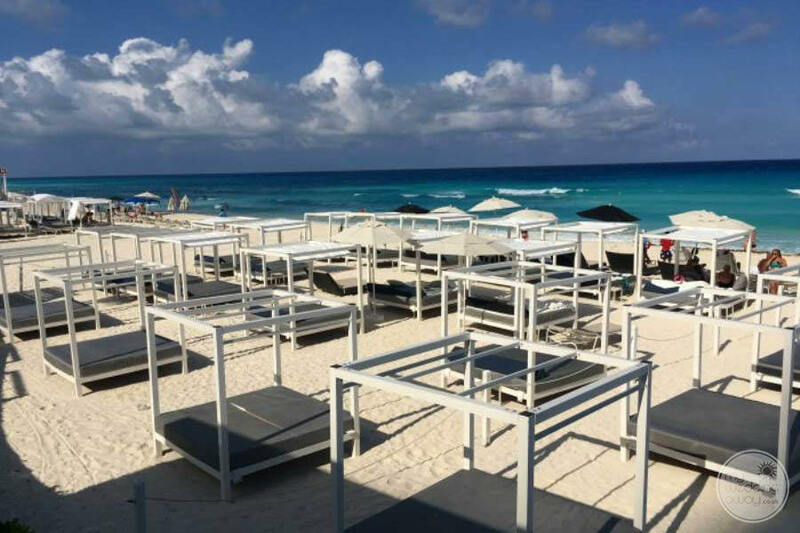 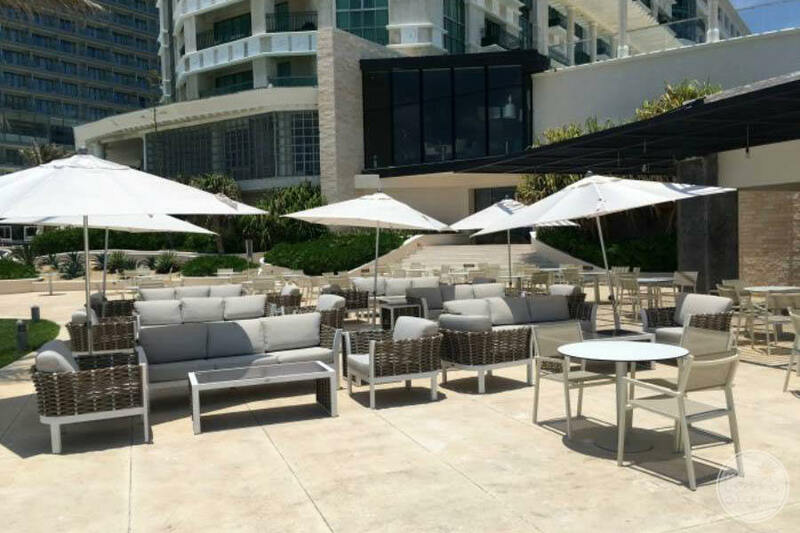 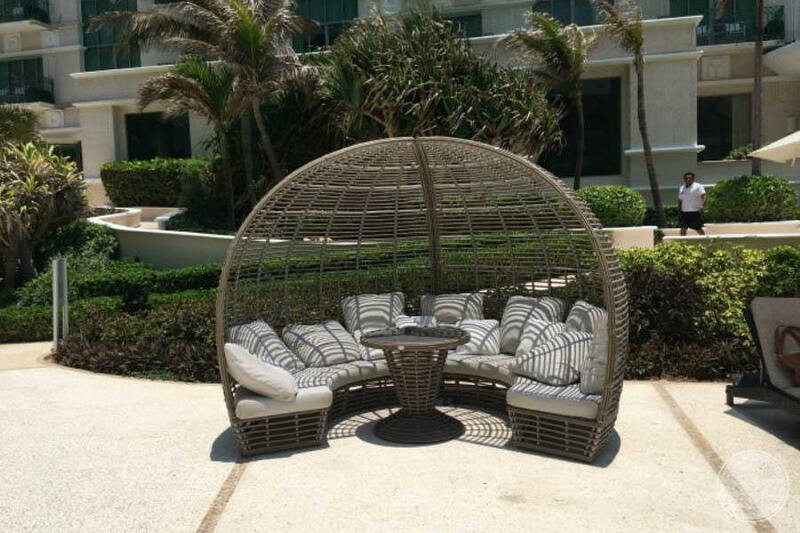 For one thing, you will find is lots of Bali beds available at the pool or on the beach. 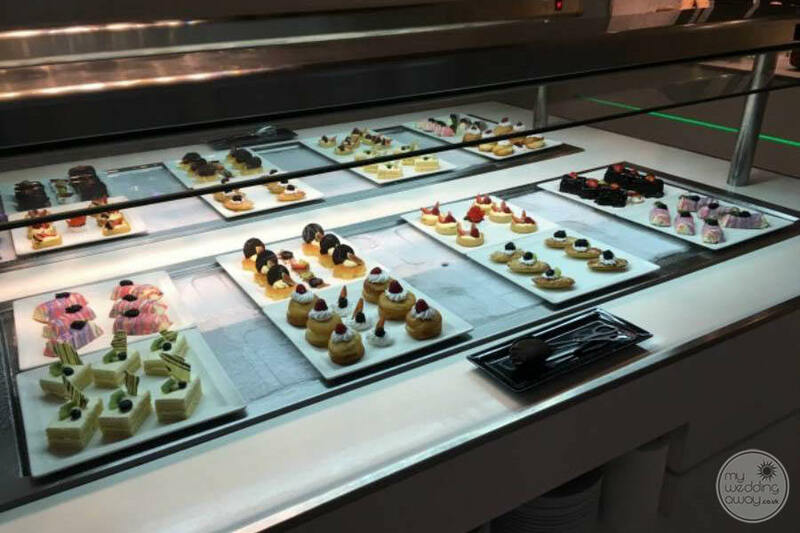 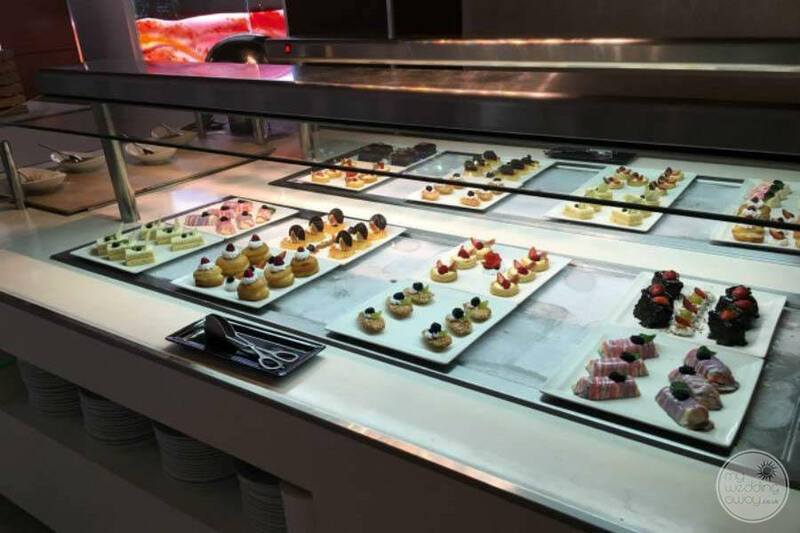 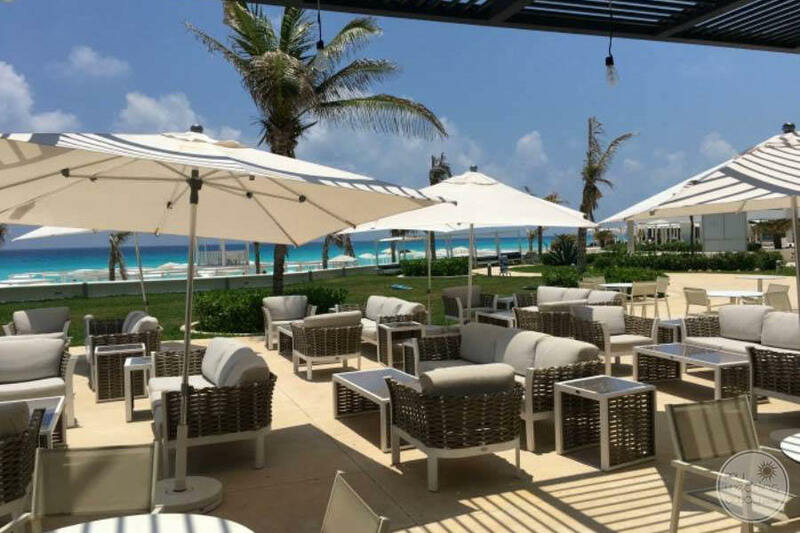 Also, you will be spoiled by their full outside Food & Drink service which is outstanding. 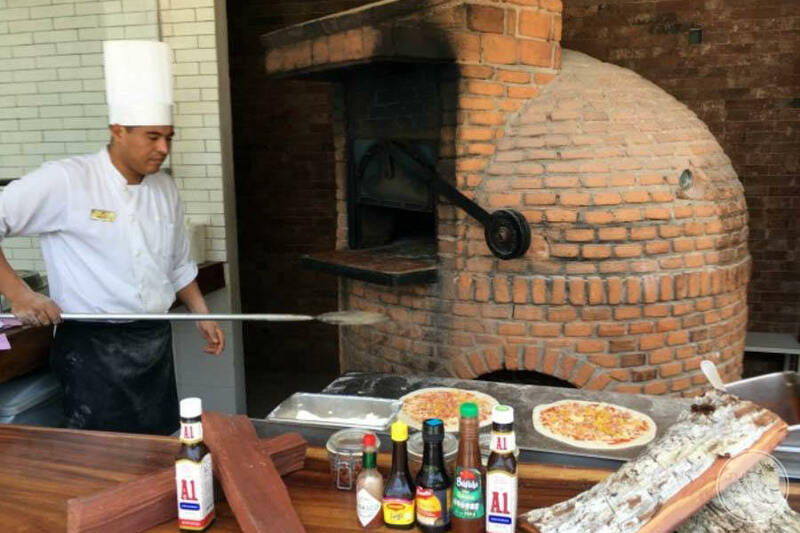 I specifically recommend trying their homemade pizza baked in a wood-burning oven located poolside. 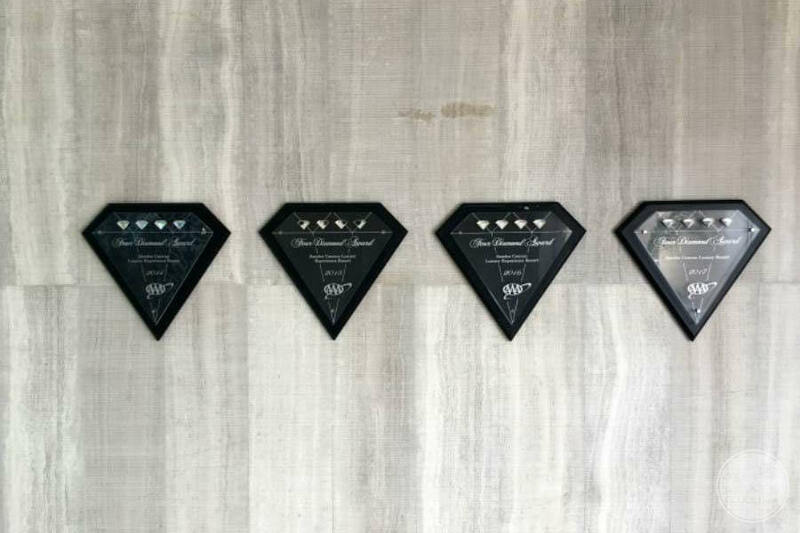 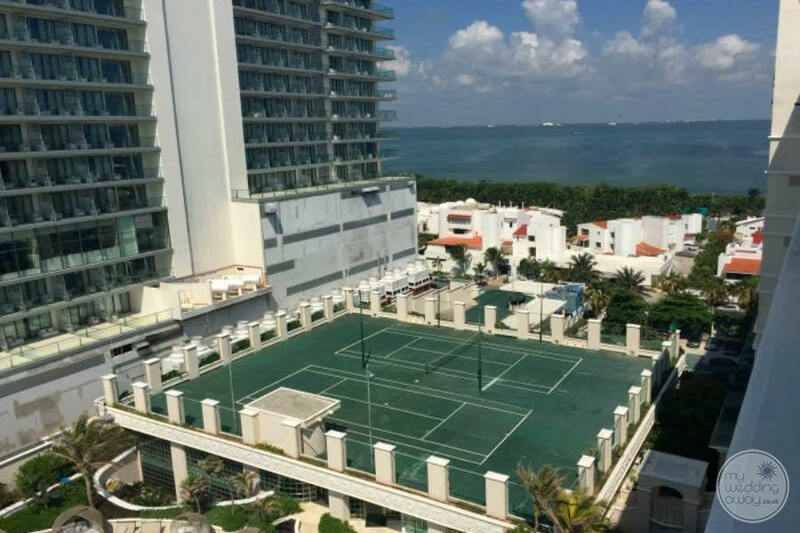 Finally, the fitness centre & spa are housed together, and the outdoor tennis courts are located on their rooftop, all just steps away from the lobby as well. 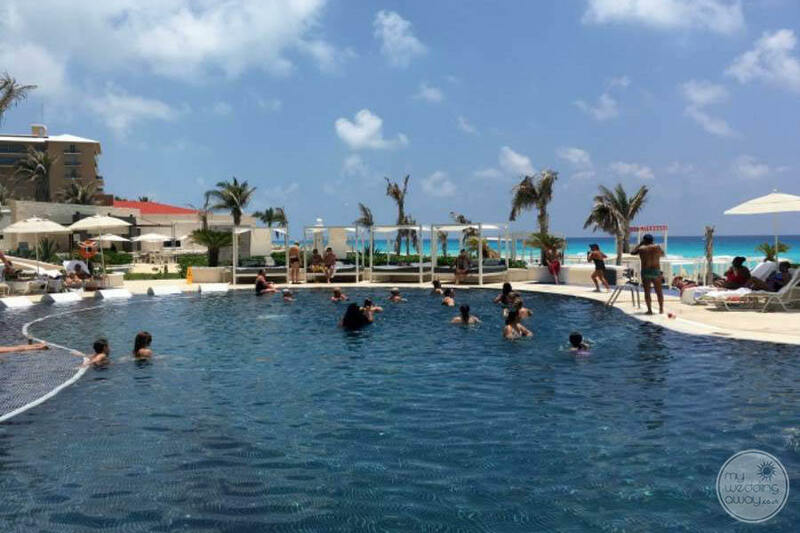 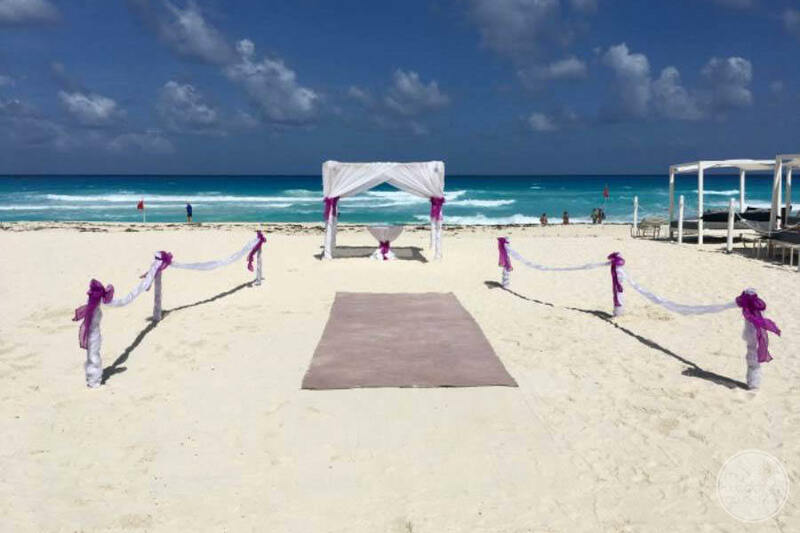 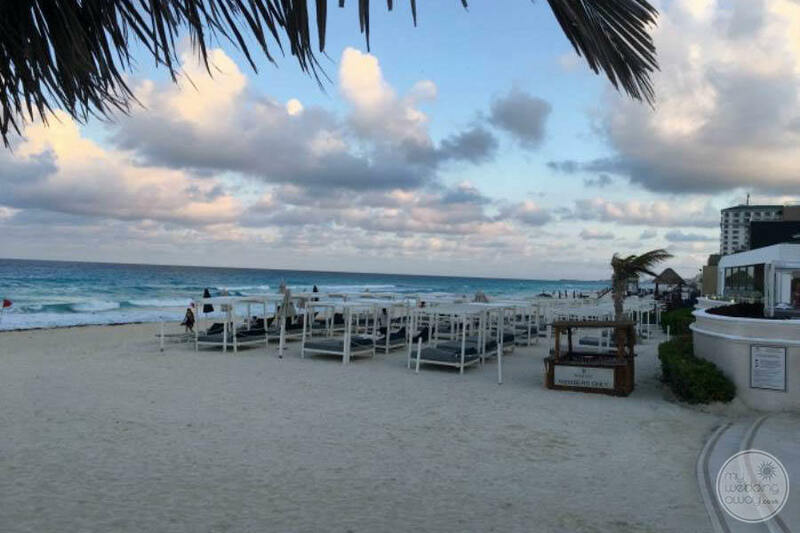 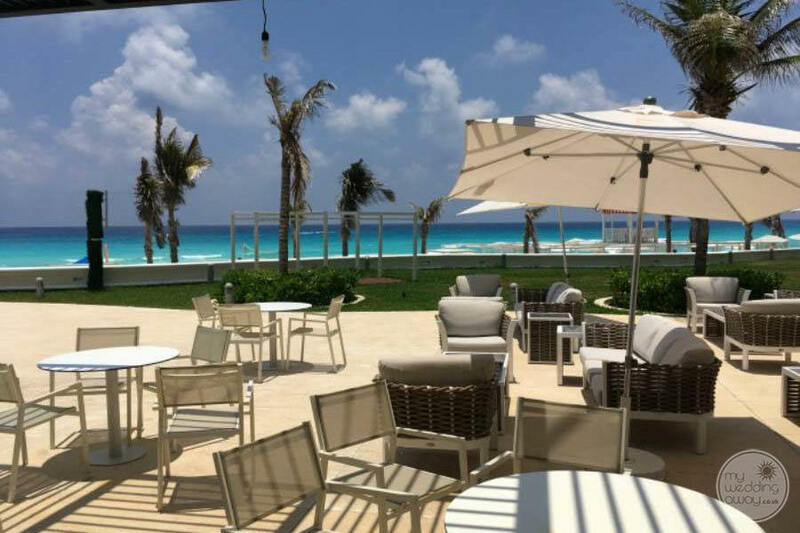 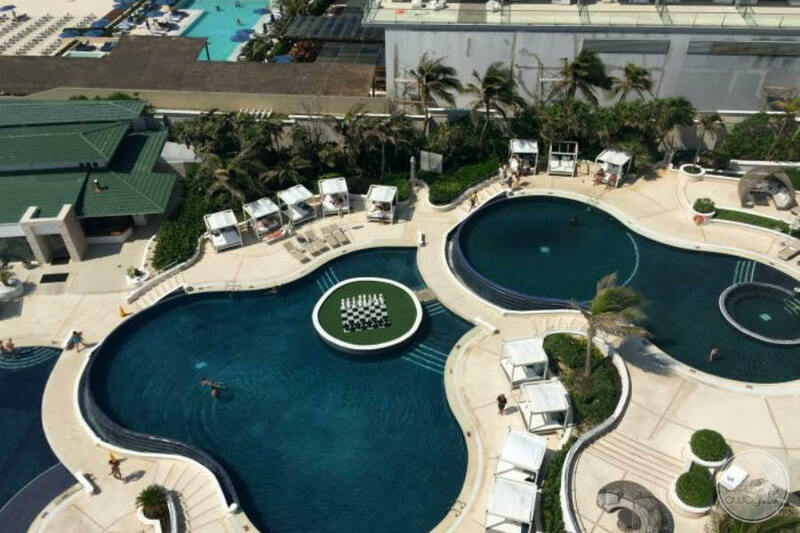 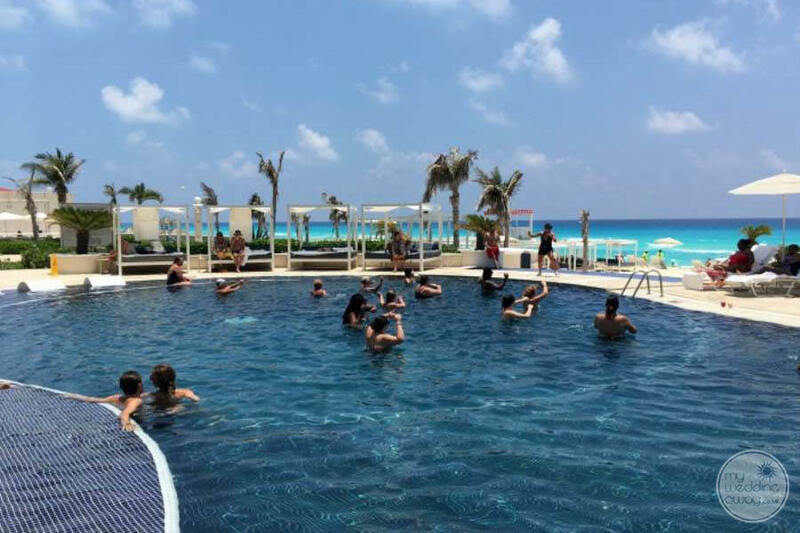 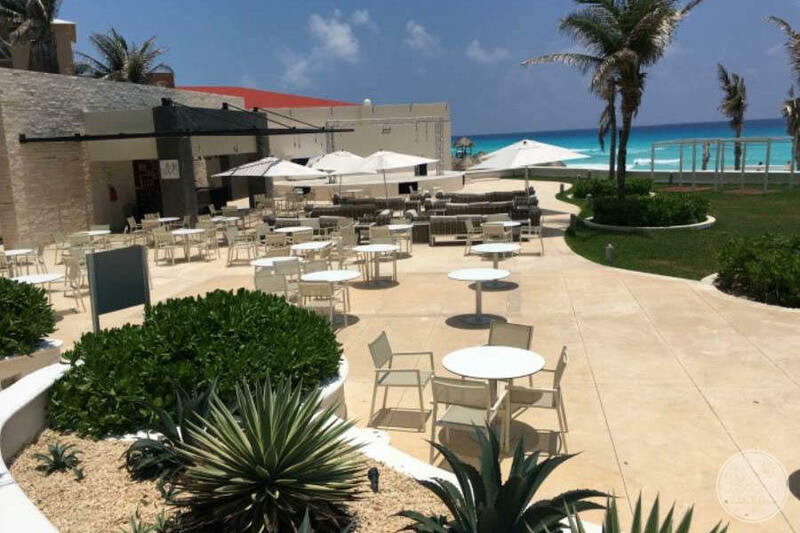 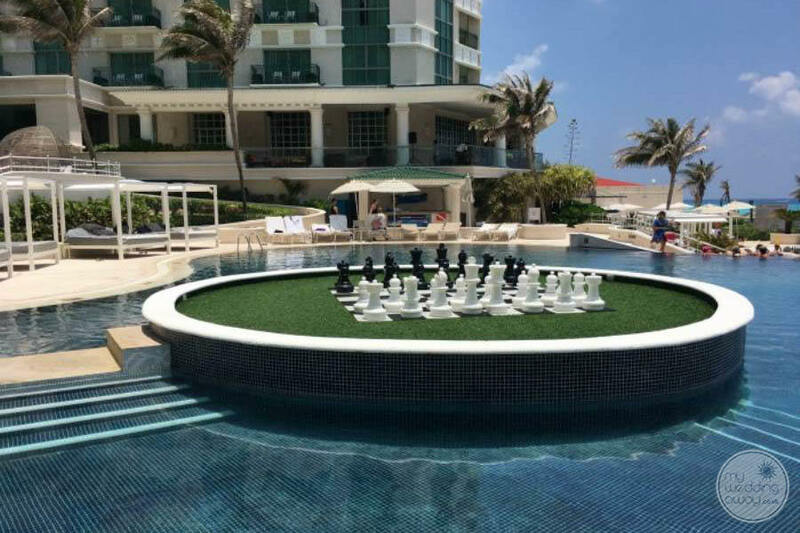 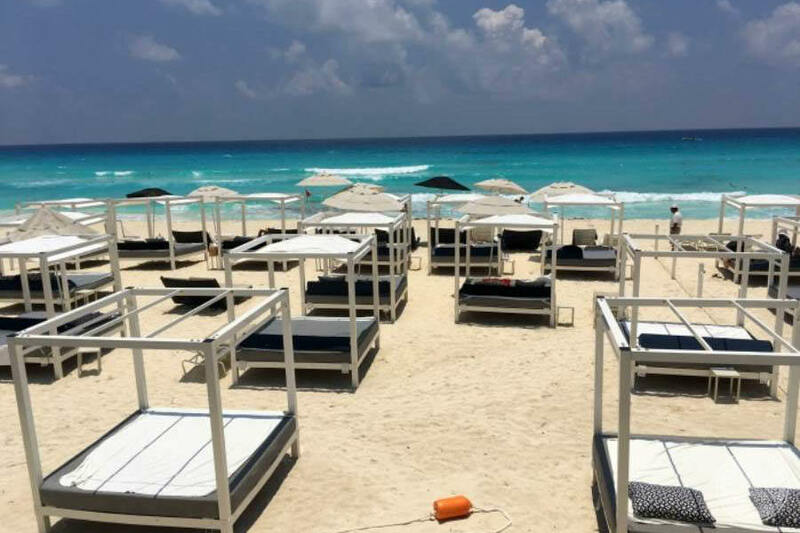 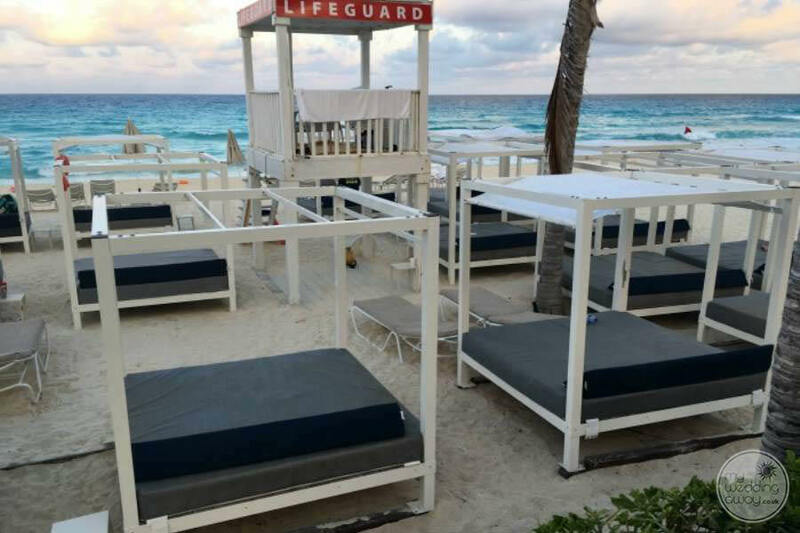 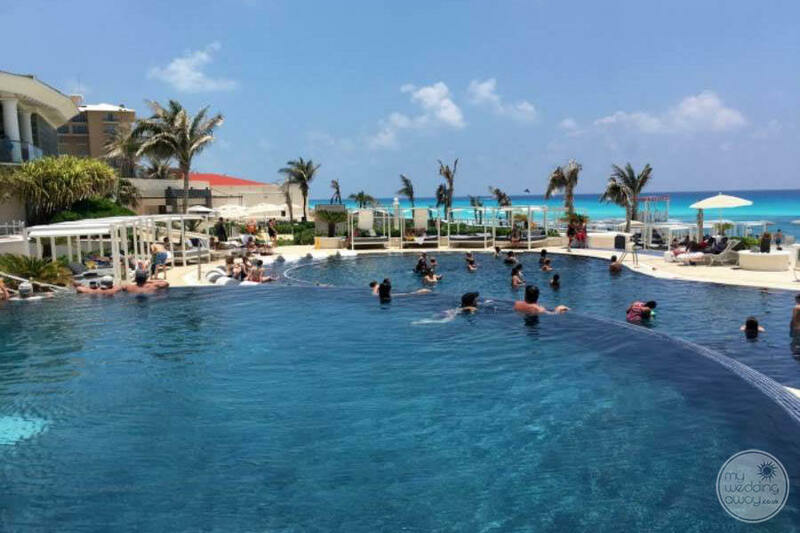 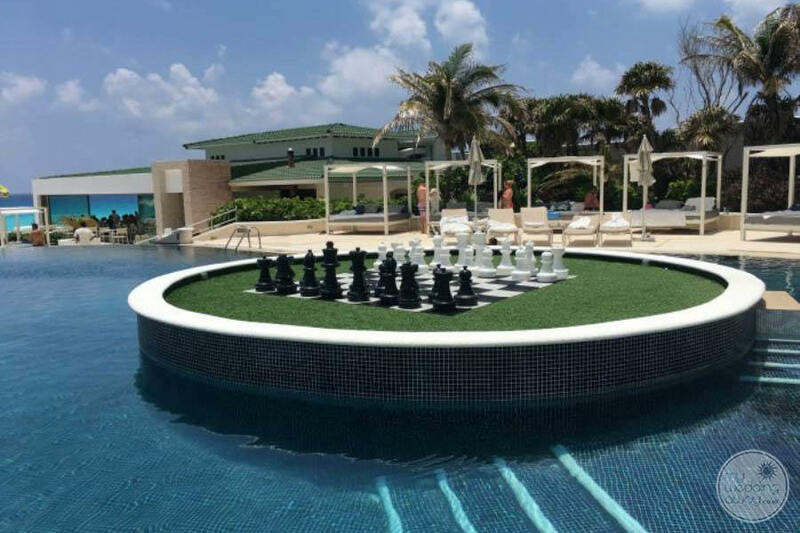 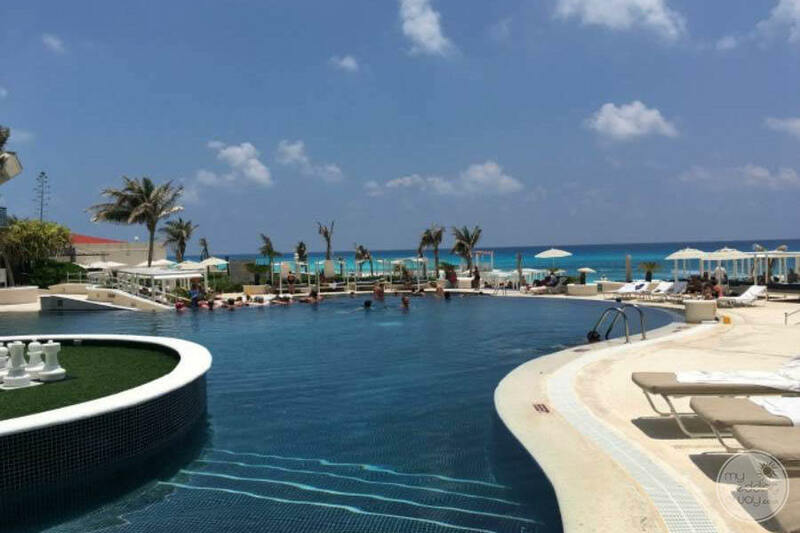 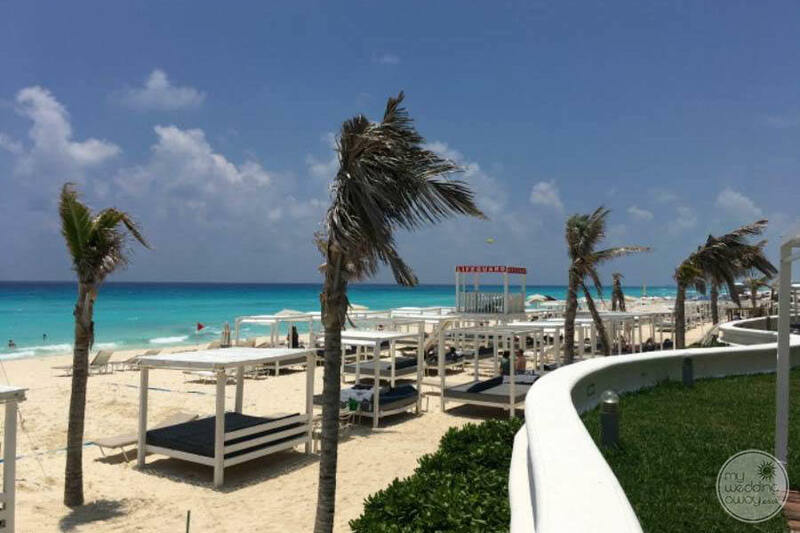 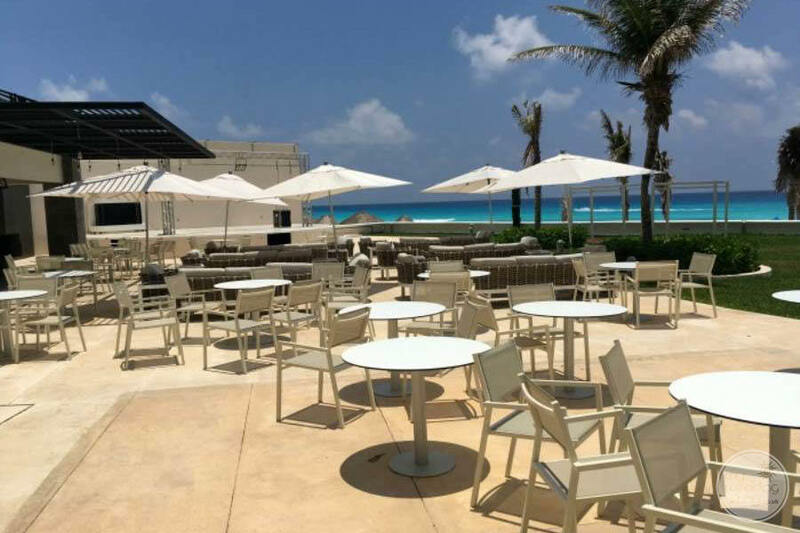 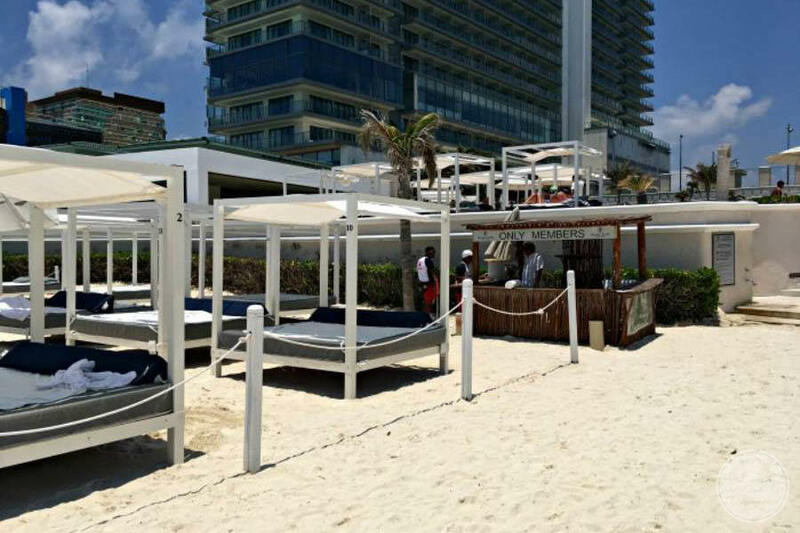 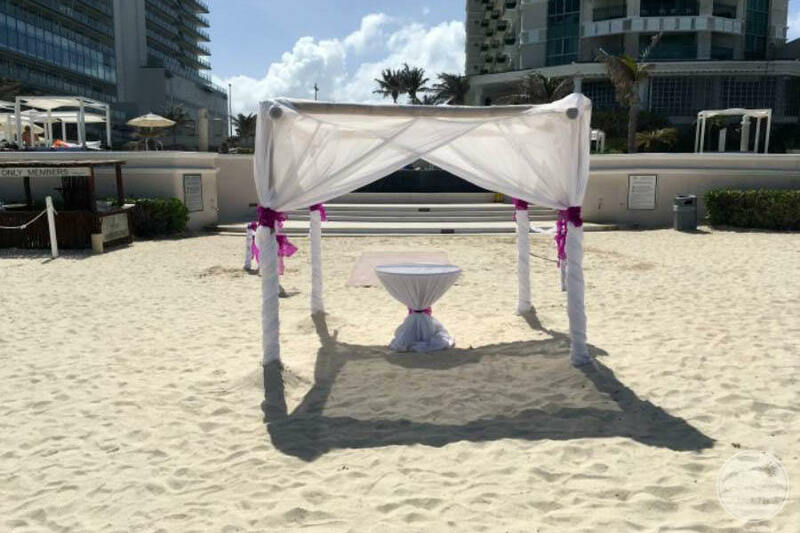 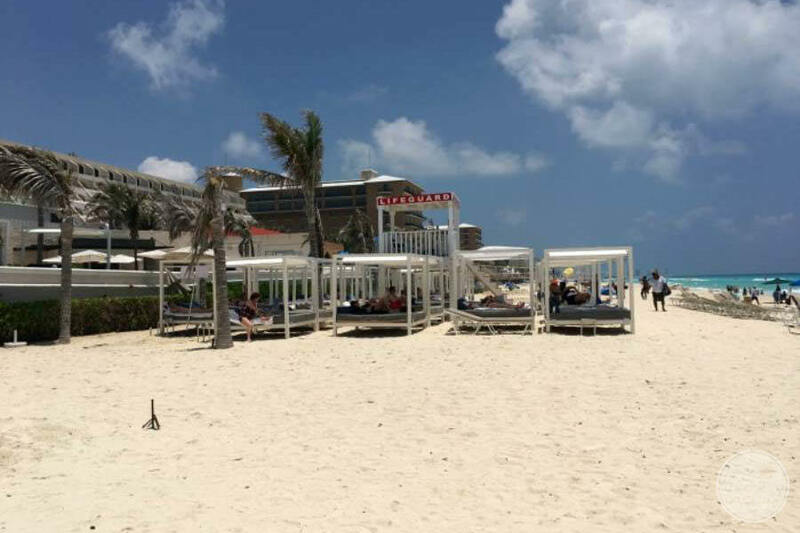 If you are looking for a property where you can take stunning pictures or even exchange vows on a pristine white sand beach in Cancun, we recommend this resort. 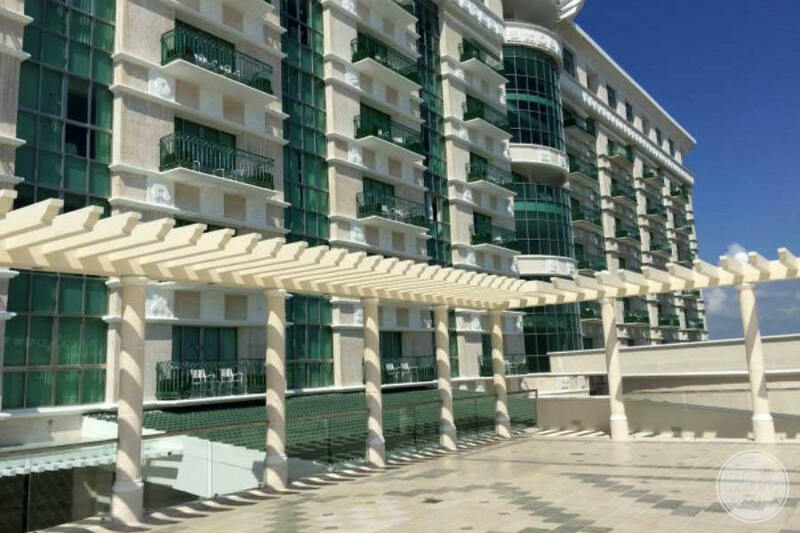 They also have a penthouse suite available for a ceremony or cocktail party which has a great ocean view balcony terrace. 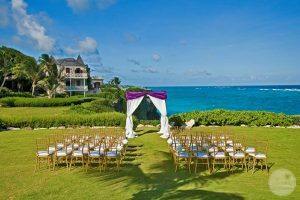 There is a nice oceanside grass area which can be used for Ceremonies or receptions as well. 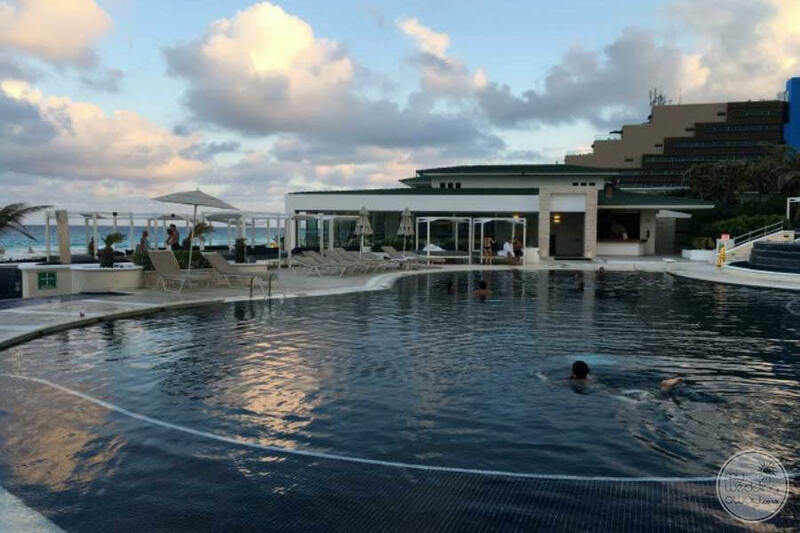 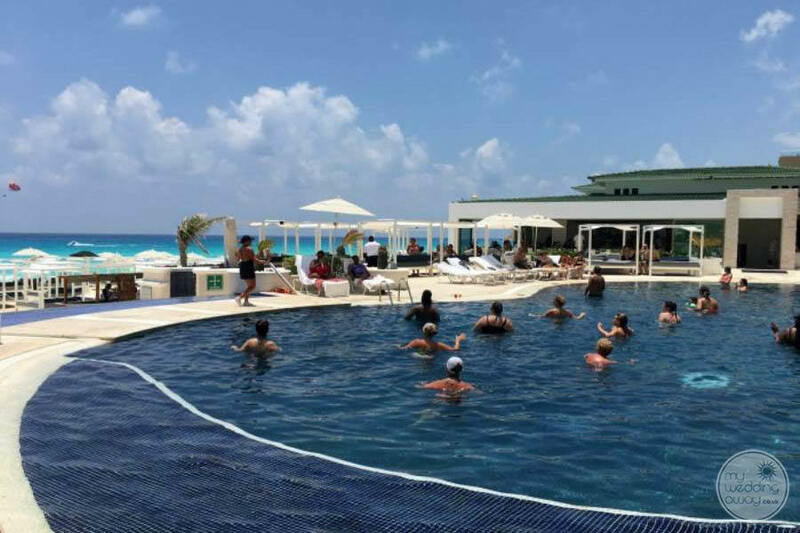 In addition to a being a fantastic resort, you can’t beat the location as you are only 20 minutes north of the Cancun International Airport.